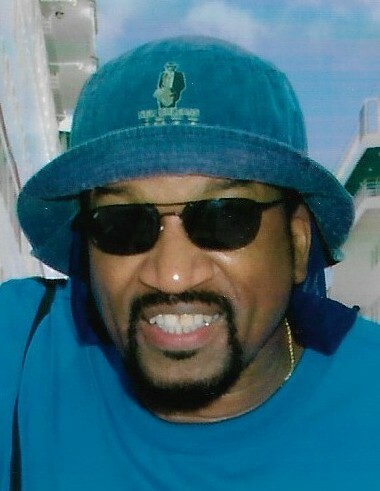 Justice ‘Brother’ Leroy Parks, Jr., 71, passed away Wednesday, March 20, 2019 after a lengthy illness. He was born on July 25, 1947 to the union of Justice Leroy Sr. and Josephine Parks. A graduate of Springfield South High School class of 1966, Justice was a veteran of the Vietnam War and employed at International Harvester for 33 years until his retirement in 2003. In 1972 he became a devoted member of the Institute of Divine Metaphysical Research and a faithful musician and drummer for the New Jerusalem Singers. During the early years of Justice's life, he belonged and played the drums in other bands in the Springfield area. One of the things he enjoyed doing was recording nourishing lectures of bible class and providing copies to those who requested them. Justice will be sorely missed by all who knew and loved him. Justice leaves to cherish his memory, his beloved wife, Katonyia Parks; brothers, Clifford L. (Elaine) Parks, Roy S. Parks, Joseph L. (Pearla) Parks; sister, Katherine Parks; children, Carmen (Steve) Victoria, Bryan Parks, Monique Parks, Byron Parks, Jasmine (Kent) Scott, Eric Bass, Michael Bass, Freddie Thomas, and Felicia Jones; six grandchildren and two great-grandchildren; and a host of loving aunts, uncles, nieces, nephews, cousins, and friends. He was preceded in death by his father and mother; and first wife, Marquita Parks. Visitation will be held at 10:00 a.m. until the time of service on Friday, March 29, 2019 at Mt. Zion Baptist Church, 1171 South Yellow Springs Street, Springfield, Ohio 45506 with funeral service beginning at 11:00 a.m. Interment will take place in the Ferncliff Cemetery with Military Honors. Arrangements entrusted to the care of the Jerry W. Kinley Funeral Home.